I try to place myself in the shoes of those who hire me. You have a special event coming up and You need entertainment. How about a magician? 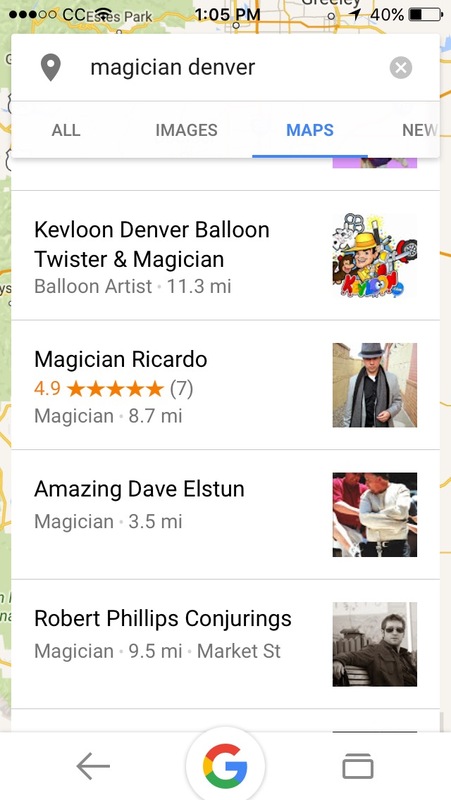 You head to your favorite search engine and enter magician. It is then You are confronted with thousands of choices. You refine your search and still thousands of choices. Even after you have narrowed your search down it is confusing mish mash of sites. Basically you will see 3 types of sites. The first and most prominent are listing services, entertainment agencies are second and individual entertainers are third. Actually the individual entertainer listings way outnumber the listing services and agents but those two types have more money to spend and more traffic coming in and so they rank more highly on search engines. This means that they will dominate the first few pages of a search. Which type should you use? That’s a fair question. Let’s look at the pros and cons of each type. Most prominent are the listing services. This type of service has taken over the internet. Not only in the entertainment industry but in almost any business. The upside is the variety of choices. The downside ANYONE can be listed on these services and most have no contractual obligation. Some require a fee for listing others have entertainers pay per lead. There is no screening of performers anyone can join. They do include reviews but online reviews can be tricky. Traditionally entertainment agencies have been a very good source of entertainment. Especially if you have a good budget. A good agent will know the acts that work with them and will help find the act that is right for you. Also your entertainment will be contractually obligated and not likely to bale out on you. Agencies are also a good way to go when you need multiple performers. The downside is they will want a significant fee for their services. If you can afford it this is a good way to go. One more thing check the agency out. There is one very prominent agency that promises professional entertainment but does not screen or even know it’s magicians. They charge enormous fees and pay the magician a small portion of what they make. I have no problem with agencies charging a good fee, I do however have a problem when they collect a significant amount of money and then ask me to work for 1/2 my normal fee. That brings us to individual listings. If you have the time this is the best and most cost effective way of finding a magician. 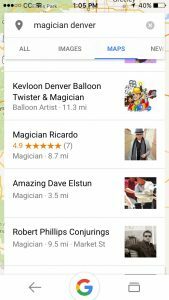 Many search engines place a list of magicians near the top of your search. Many of these are good performers and like listing services they have reviews. As I said before online reviews are tricky. There are even services that will place fake reviews. If caught a performer could loses there listing. Unfortunately they are not always caught and most do not do this. So how do you screen a magician? First look at the website. You can tell an awful lot about a magician by seeing what is important to them. Contact them directly. Most have either a contact form, email address or phone number where you can talk or text. I know this isn’t popular but I am going to go old school here. Call them. If they have no phone skills, if they are rude, if they cannot describe what they will do for you, you do not want to hire them. 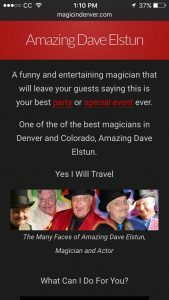 You only need to talk to handful of performers to know that you have hired the right magician for you. One last thing, get it in writing. This helps both parties. it will help make sure that everything is correct. Anyone who will not give you a contract or at the very least a confirmation letter is someone you do not want to be associated with. Unfortunately there are many performers that will leave you for a better paying gig. I am not one of them. I hope this helps. Please feel free to give me your feedback. I am always looking to improve.